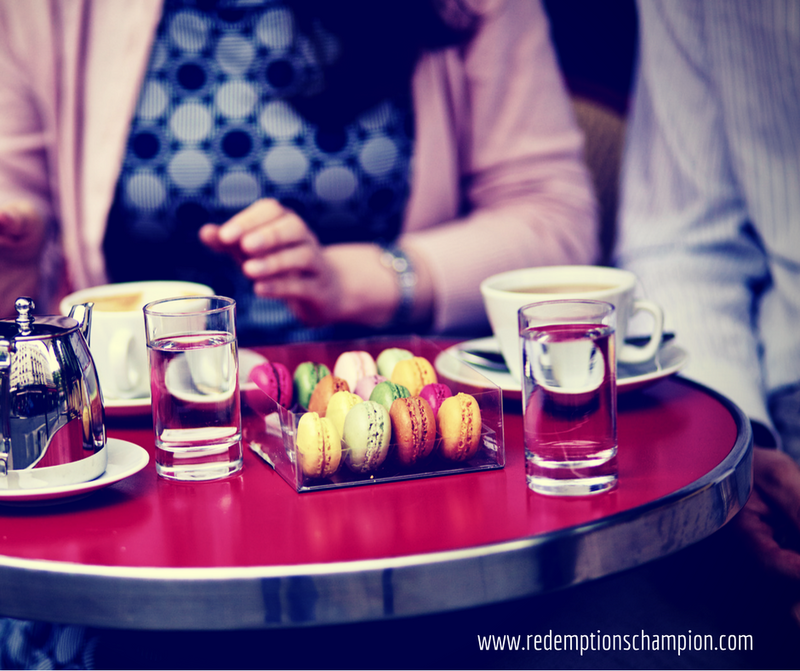 Redemption's Champion: Who Are You Bringing to the Table? I dropped my son off and drove to the hardware store, but I didn’t get out, I waited. I needed to hear the rest of the broadcast. I had a gut feeling the devil was already at my table. They returned with, "If you hear any of the following, it is a good indication that you have given the devil a seat at your table." “You’re never going to make it through this.” If you have ever heard, “You’re not going to make it, this will never change, don’t get your hopes up, you’re not going to survive it”, if you hear that, you’ve given the devil a seat at your table. “You aren’t good enough. Never been good enough. You’re not strong enough or smart enough. You are not worthy. You’re insignificant”. If you’ve heard today, “You’re not good enough”, the enemy is sitting at your table. “Everyone is against you”. If you’re hearing, “No one at school likes you” or “Everyone is out to get you” or “Coach is out to get you” … then the enemy is sitting at your table. I knew at #1 that I’d done it again, invited the devil to eat with me at the very table God had prepared for me in the presence of my enemies. I knew this called for prayer, serious prayer - focused and intentional, so Tuesday morning after everyone was gone for the day I put worship music on and began to pray for my body, something I had not done. I repented for giving the devil a seat at my table. 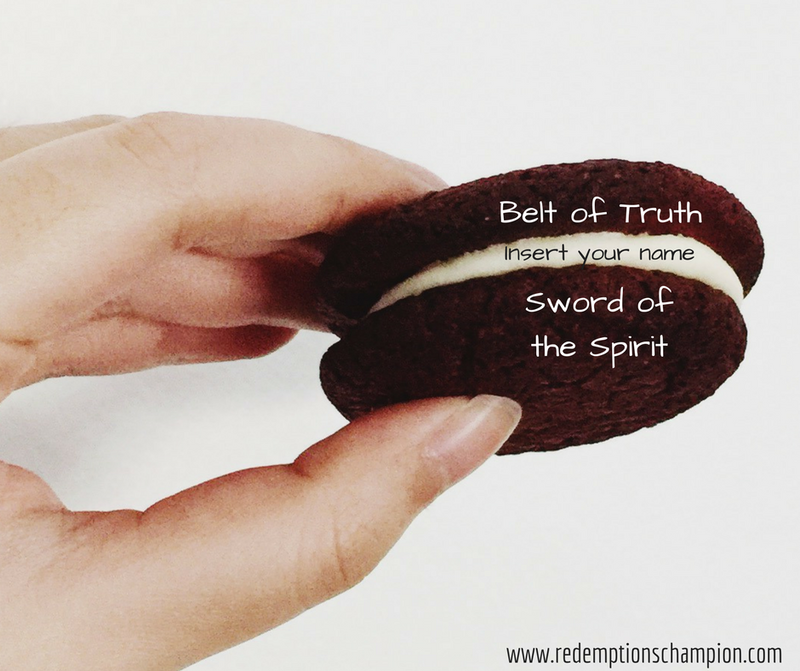 I repented for believing the devil over God. I asked the Lord to heal my body. I had this sense of urgency that I needed to go to a bible study I had been invited to over two and half years prior. I knew I would be late, but I had to go that day. I drove an hour to the bible study and walked in an hour late to hear the leader saying, “Don’t give the devil a seat at your table.” What? God, really? It wasn’t long before I had a chance to share what had happened in my car the day before and that morning. Two days later I had a thought, “Don’t take the new medication tonight.” It was Thursday night and I had a busy day Friday, so I decided to wait and try it then. Saturday morning I woke up with no pain in my body. That was nine months ago. I have not been on any medication since. Praise the Lord. Fast forward to June of this year. My friend invited me to the beach with her and her family. We all arrived Saturday night, but I had not seen or heard from her that day. Sunday I awoke to a text from her inviting me to church. The local church was finishing their series on the armour of God and that is what we had been learning at our bible study. Wednesday night they had services and I decided last minute to go. The pastor announced they would be watching a video and I knew, I just knew, you guessed it - Louie Giglio, Don’t Give the Devil a Seat at Your Table. Once again, I was amazed at God's ways and timing. During the discussion time I was able to share how the Lord had used this message so powerfully in my life. There was a tangible awe that came into the room, the kind that captivates anyone who is struggling with anything and gives them hope to believe. Everyone was amazed at how God worked and I reminded them that He is no respecter of person and wants to do this for everyone at their point of need. Just this Saturday I was sharing the concept of Don’t Give the Devil a Seat at Your Table with a friend, she was having a hard time understanding, so I used our phones and a piece of paper to illustrate. As I was setting up my object lesson, the Lord showed me a powerful truth. He sets the table for two, Him and I. If I give the devil a seat, someone has to get up. We get a choice friends, who we let sit at our table. In the midst of a battle, we do not have to let the enemy pull up a seat or worse, give him the one reserved for the Lord. the importance of this I do not think can be stressed enough. The armour of God begins with the belt of truth and ends with the sword of the Spirit and we are the stuff in the middle - covered in truth.